Despite the racing being over on track, the season continued to throw up big smiles. The last CSCC meeting of the year was without cars for the end of season awards dinner at the Oxford Belfry. 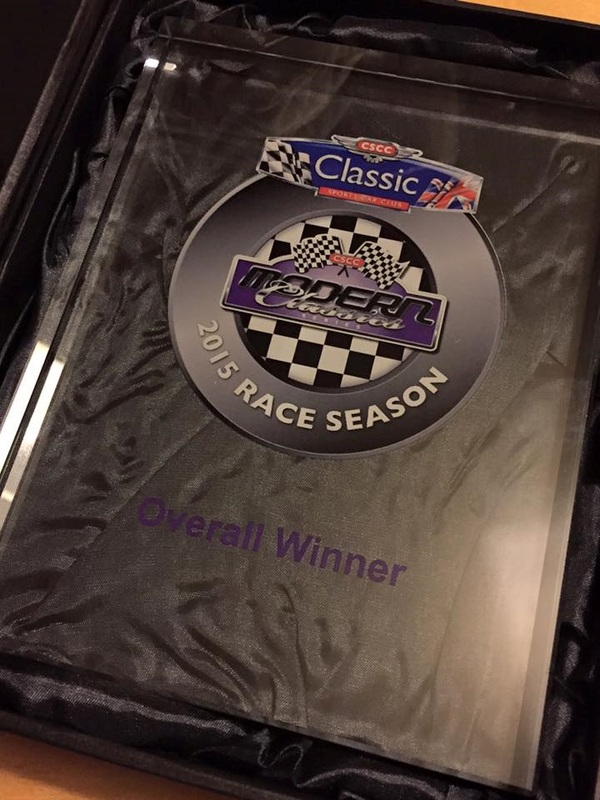 Whilst fully expecting to take away the 2015 class win in 'Modern Classics' - we were somewhat taken aback when we were called last to the stage and handed the overall series winners trophy by ex-BTCC driver and ITV Motorsport presenter, Paul O'Neill. As it transpired, despite stiff competition from much newer and more powerful cars in 'New Millennium' we had been consistently successful enough to win that class overall too! It's fair to say the 2015 season completely surpassed all our expectations. Bearing in mind we never intended to compete at every round, to go unbeaten in class in 'Modern Classics, win both our classes overall AND a series overall is nothing but a huge testament to teamwork and support given throughout the season by the team, our sponsors and supporters alike. Halloween 2015 was the last on-track action of the year with both a day and night race double-header at Brands Hatch in Kent. The metaphorical finishing line was in sight as the lights went out on the day race. A steady drive saw the last 'Modern Classics' Class win of the year in the bag - and a season long unbeaten streak intact! We used our previous hours of experience racing in the dark to claim another bonus class win in the super-spooky night race (and take home one of very few trophies in Motorsport ever with a pumpkin as part of the design). This month saw us pay visits to two of the UK's most rernowned venues; Donington National and Silverstone GP circuits on consecutive weekends. 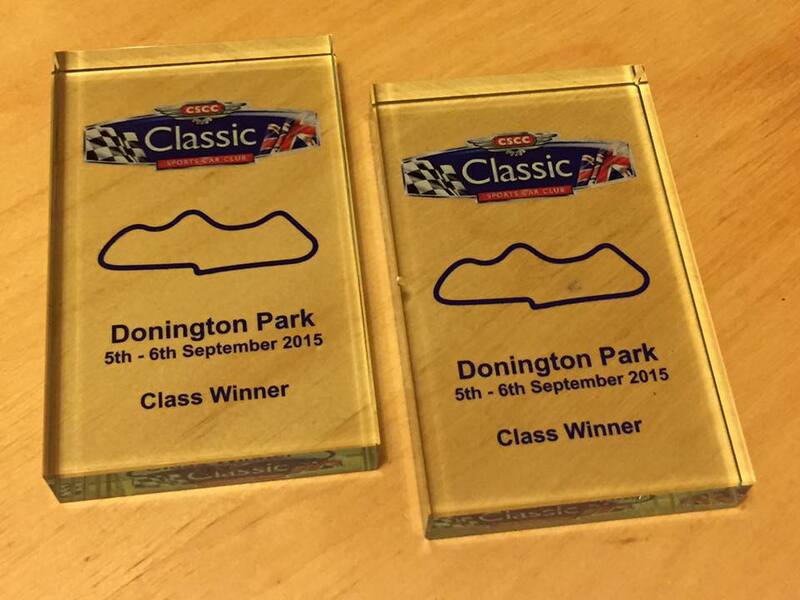 The Donington outing began well with a Class win in the Open race immediately after lunch. During the 'Modern Classics' outing later on it became apparent that the Elise's engine was in the midst of head gasket failure. 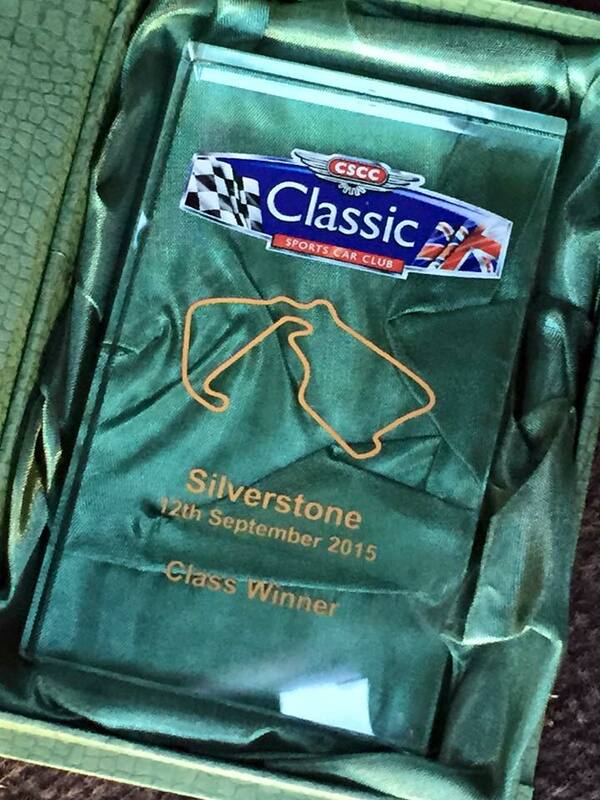 Despite this concerning development we still finished the race first in Class. With only six days before our next outing at Silverstone, work to swap over to our spare engine began on the very evening we got back from Donington. With the reserve power plant successfully installed during the evenings leading up to the next race, Andy once again used his extensive experience of the Northamptonshire circuit to provide himself with a comfortable lead in class during the race and the third Class win of September. Our trip to Mallory Park was new ground for the second time in as many races. Time pressures meant no opportunity to practice at the venue prior to the race. Therefore (like Rockingham) a lot of time was spent in front of a laptop studying data and video prior to the race. This paid off well, seeing us qualify in P.5 with only the powerful BMW M3's ahead of us. Despite the circuit's reputation for being unforgiving of mistakes the race was largely uneventuful (a serious smash during qualifying serving to temper things on the grid come race time). An enjoyable stint was once again rewarded with another satisfying Class first at a debutant venue. Rockingham was a departure into new territory for us having never raced there before with any of our previous seasons calendars. The weather on the day could best be described a 'difficult' with conditions changing from torrential rain to blue skies within any hour. A monsoon half an hour before race start and numerous warnings about the grip levels of the tarmac saw us choose to run wets. This proved superb for the first 30 mins of the race, but as the circuit dried in the last 10 minutes we slipped 5 places down the order. Fortunately we'd built a very comfortable lead and still cruised to another Class win. Solid work first time out at a new track. The height of midsummer and some nervous times with ferry workers industrial action was the somewhat fraught backdrop for our trip to continental Europe for the CSCC overseas round at Spa Francorchamps in Belgium. The sometimes unpredictable circuit provided a real festival atmosphere over the weekend with capacity inter-series grids, big crowds and thoroughly pleasant weather. The fun times extended to the racing itself where both races were rewarded with Class win trophies. The 9th and 10th of the month saw us visit our closest ciruit of Silverstone in Northampton to race on the short 'National' circuit. This time around we entered in our primary series; 'Modern Classics' - but also took an entry in the CSCC series for post year 2000 cars; 'New Millennium'. The class structure in the series doesn't suit the Elise at all as we are grouped with much newer up to 2 litre cars which can easily have a 100bhp advantage over the much older Lotus. A spin on oil in the first lap of the 'New Millennium' race saw us flat last. But a spirited drive got Andy back up to 2nd in class. Fortunately for us a pair of pitlane infringements were issued against the car and driver leading which gifted us the first Class Win of the day. Late that afternoon the 'Modern Classics' race went off without drama. Steadily and consistent lapping at the circuit which Andy knows so well as a professional instructor saw us take how out second Class Win of the day nearly four laps up on our direct competition. The final weekend of May took us to Brands Hatch in Kent for what was to prove to be the wettest weekend of the season. Again we had double-entered in both 'Modern Classics' and ' New Millennium'. The rain proved to be a great leveller across the classes. Andy was only ousted to 2nd place overall by the fastest of the Porsche 911's on the grid in 'Modern Classics'. 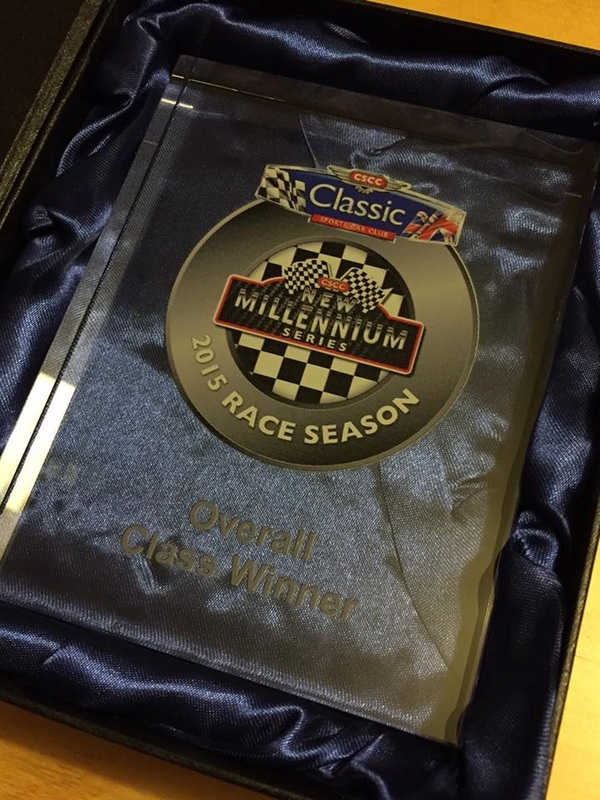 In 'New Millennium' it was once again a highly convincing Class win and a 7th place finish overall. 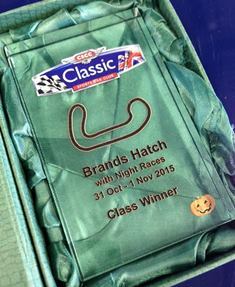 Our season racing with Classic Sports Car Club kicked off with a busy weekend at Snetterton 300 circuit in Norfolk. Running on our spare engine whilst our #1 unit was being refreshed, we entered both the 'Modern Classics' and 'Sports v Saloons' open races. Qualifying was run in torrential rain, but thankfully it gave us a chance to try out our new wet tyres and suspension setup in anger - particularly in 'Modern Classics' qualifying where we finished P2. The weather was glorious by the races in the afternoon however and the circuit, which has always been a happy hunting ground for the team saw us come away with a Class Win in 'Modern Classics' and a 2nd in Class in the Open race.